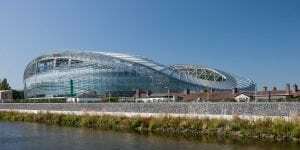 The Aviva Stadium is home to Irish Football and the Rugby Union, previously known as Lansdowne Road it reopened as the Aviva Stadium in May 2010. 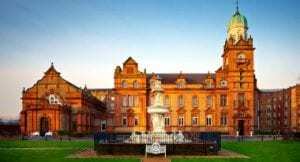 It has an unusual curvilinear shape and can accommodate over 50,000 people making it a remarkable venue. 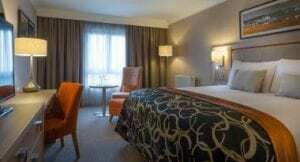 Our hotel is the ideal choice if visiting Dublin to attend an international FAI football match, IRFU 6 nations or test rugby fixture, conference or any event being held at the Aviva Stadium. 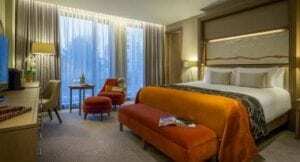 Not only do we have a central location, but also offer modern 4 star hotel rooms. 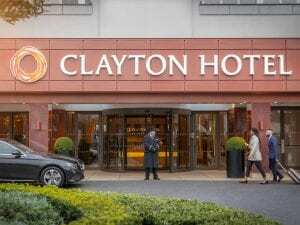 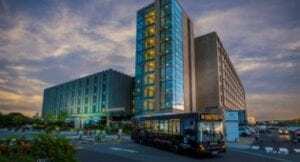 Choose Clayton Hotel Cardiff Lane located within close proximity to the Aviva Stadium. 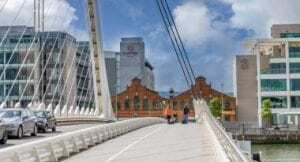 We’re proud to be one of the top 4 star hotels near Aviva Stadium, and are less than a 10 minute drive from its doors.